Desc: Sterling Silver galloping Pegasus pendant. 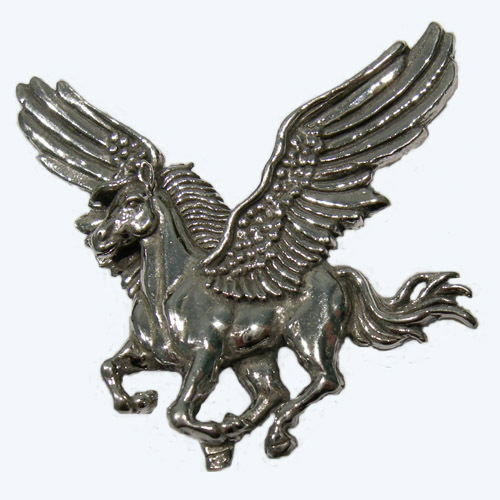 The winged horse is in full gallop and has his wings spread wide. The pendant has a bright polish finish.